The impression is that India’s elite public opinion has not totally woken up to the consequences of underestimating China’s capacity for assertive action. It is reassuring to learn that Home Minister Rajnath Singh has told the officers of the Indo-Tibetan Border Police that he believes the Doklam standoff will be defused. It’s something we’d all like to believe, for despite the bellicosity of armchair generals in our television studios, there can’t be too many Indians who are overly keen on a shooting war with China. But it’s too early to breathe easy, and the complacency of some self-appointed experts who blithely assert, “Don’t worry, there won’t be a war”, alarms me almost as much as the Whatsapp war-mongers. I can see the logic of those who firmly believe that all the warlike noises emanating from China are just posturing. 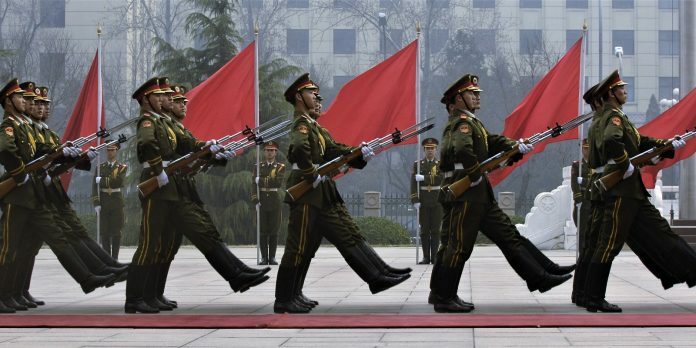 For one thing, Beijing is about to hold the BRICS summit in Fujian, a major occasion they are unlikely to want to ruin by going to war with one of the five participants: why would the mandarins of the People’s Republic rain on their own parade? Then, the 19th Party Congress of the Chinese Communist Party, a once-in-five-years event, is about to take place and is expected to mark the renewal and consolidation of President Xi Jinping’s leadership. The Party Congress is always a big deal, especially for the leader whose anointment it celebrates; why would he take a decision that would overshadow his own political triumph? This is a time, the experts tell us, when Chinese leaders want to send a signal of stability and solid confidence to the rest of the world, not give them the jitters by embarking on military adventurism. The Chinese leadership has shown its desire for peace in the way it has managed potential crises from North Korea to the South China Sea. First, it bothers me that Chinese media — both official and unofficial – have been remarkably belligerent in their treatment of India, accusing us of invading Chinese territory and using terms like “teach them a lesson”, which were last heard in 1962 (and in 1979 against the Vietnamese, just before China launched a border war against Hanoi). Second, the BRICS summit matters to the Chinese, but not as much as its sovereign pride or territorial integrity. If China genuinely believes that Doklam is its sovereign territory upon which India is transgressing, it is capable of destroying BRICS to “reclaim” its land – maybe just after the summit, which it can portray as a last-ditch opportunity for peace that India failed to seize. President Xi won’t want to mess up his party Congress, but can we be sure that a war with India would undermine his re-coronation? A short, swift and decisive action to “teach India a lesson” might actually enhance his stature in the country and win him more plaudits from his supporters and critics within the Party. In any case, there’s nothing like a little war to rally people around the flag, and exalt the leader who’s conducting it. Neither Mao nor Deng Xiaoping suffered from China’s last two military engagements on the border. As Chinese-Australian scholar Feng Zhang has suggested, in the eyes of Beijing’s hardliners, a war could bring certain strategic benefits to China: “Aside from bending India to China’s will, it would send a ripple effect throughout Asia about the new strategic reality of Chinese power and resolve”. Even if there isn’t much love lost for China in its own neighbourhood, New Delhi is quite isolated on the Doklam standoff. Beijing knows that India has no allies willing to rush to its aid or extend it diplomatic, logistical or military support in the event of war. If the shooting starts, let’s face it, we would fight alone. No wonder the Chinese haven’t let up the pressure on India. China has been briefing the international diplomatic corps extensively on its point of view. It has issued a detailed paper laying out its case that India has conducted an ‘invasion of Chinese territory’. Every significant government organisation in the PRC —in addition to the Foreign Ministry, the Defence Ministry, the People’s Liberation Army Daily, the Xinhua News Agency, the People’s Daily, Global Times, the Chinese embassy in New Delhi, and a host of official television channels —have issued warnings and threats to India, ridiculing it in two videos (one of which many Indians found offensively racist) and reminding India of the unpleasant costs of conflict with China. There was even a warning broadside for India’s consumption by President Xi himself in a speech commemorating the PLA’s 80th anniversary: “We will never permit anybody, any organisation, any political party to split off any piece of Chinese territory from China at any time or in any form. Nobody should nurse any hope that we will swallow the bitter fruit of harm to our national sovereignty, security and development interests.” If this was intended to convey the intensity of Chinese resolve to New Delhi, Xi’s words could scarcely have been more unambiguous, especially given the occasion and the military audience before whom it was delivered. To rub the message in, Xu Guangyu, a retired PLA major-general, publicly declared that China is ready – and has been preparing — to evict Indian troops if they do not withdraw from Doklam. And the Global Times informs us that the Chinese government is establishing blood collection centres and moving blood supplies closer to the Tibetan border. As an Indian, I would take all this seriously. It bothers me to hear from visitors that the Chinese public has been thoroughly propagandised about India’s alleged malfeasance, and there will be a high degree of public acceptance that war, if it is initiated by China, would be justified. I do not get the impression that India’s elite public opinion has totally woken up to the consequences of underestimating China’s capacity for assertive action, and not necessarily where we are expecting it. New Delhi has been measured, calm and careful in its statements on the issue, and has even persuaded our media hotheads to tone down their rhetoric. This does not mean that India isn’t taking all the steps necessary to protect the country in the event of conflict. But all the signs I have summarised above mean that one should clearly not rule out the possibility of China resorting to war as an instrument of policy. The one thing we cannot afford, at this tense time, is complacency. China is an untrustworthy country as far as Indian security is concerned and it desperately wants to exhibit its assertive posture by its shrill and intemperate warnings. But India so far resisted the Chinese emotional black mail and PM Modi was with his classic silence stuck to his position. But, Yes, China could not swallow the bitter pill of India asserting on Doklam or asking the Chinese to maintain the status quo. Therefore, if China wants to save its face and assertive, then it will resort to an armed conflict with India whereby it wants to send a message to the East Asian countries that it would not tolerate any questioning of its super power status. But India is also prepared for a bloody war with its troops and armoury moved to the forward bases including keeping a watch on the long border to prevent any Chinese misadventure. Now the issue has come to such a situation where both China and India are prepared for a show down. A good article.There is no meaning in getting afraid of any,including China.China should know that India is not the India of 1962.No doubt China is a bigger power,but they should not undemind India.At any cost we have every right to protect our Interests.We will fight to the last. Hi Shashi, I get what you are saying, even taking your point that we should not be complacent about the standoff. What I’m confused about is, what is the point of this article? Are you suggesting we agree to whatever China is doing and demanding? Are you saying, our government, should start evacuating people from border area? Are you saying there is something else which our government/ media/ civil society must do? Are you suggesting that we blow up China pre-emptively by nuke? What is your point and how does it differ from what has been done till now to manage this standoff? BTW I’m not a BJP Bhakt or online troll, I’m genuinely interested to know. Thank you for your attention and hope you at least read this, even if you wont reply. I admire your clarity of speech and thought and hope to benefit from your further clarification. There are elements of huge risks and great benefits involved for both the countries and, their political leadership if skirmishes break out between them. But the gains far out weigh the risks for both of them especially, for India. China will emerge as a true rival to US if it manages to subdue India. But stands to lose its current position as a probable world power if it suffers a bloody nose at the hands of Indians. President Xi may then be in thick soup. India on the other hand will become a regional leader and a rallying point for ASEAN nations, if it manages to gain an upper hand in the conflict. Else, if it suffers at the hands of Chinese military then it will have to step back for a while to nurse it’s wounds. Overall, China will always have the fear of a wounded Tiger which can then be a nuisance to its trading routes passing through Indian Ocean. Mr Modi, if he manages to outwit China, will be heralded to the world stage and stake a claim for India as permanent member of Security Council. This article is very well researched, logical and written by a person who knows what he is talking about!